Saute chopped onion, sliced carrots, diced potatoes, and minced garlic in medium sized saucepan (can use very small amount of olive oil but works well without any oil) for about 5 minutes, stirring often, until the onion and garlic smell wonderful. Add the broth, lentils, diced tomato and pepper and smoked paprika. Reduce heat, cover with lid, and allow to simmer for 20-30 minutes until lentils are cooked. Season with salt and pepper to taste. Ladle into soup bowls and serve with crisp green salad and crusty bread. Love it when all of that meets up with Delicious! This could be a regular Monday Night Special around here for the coming months! 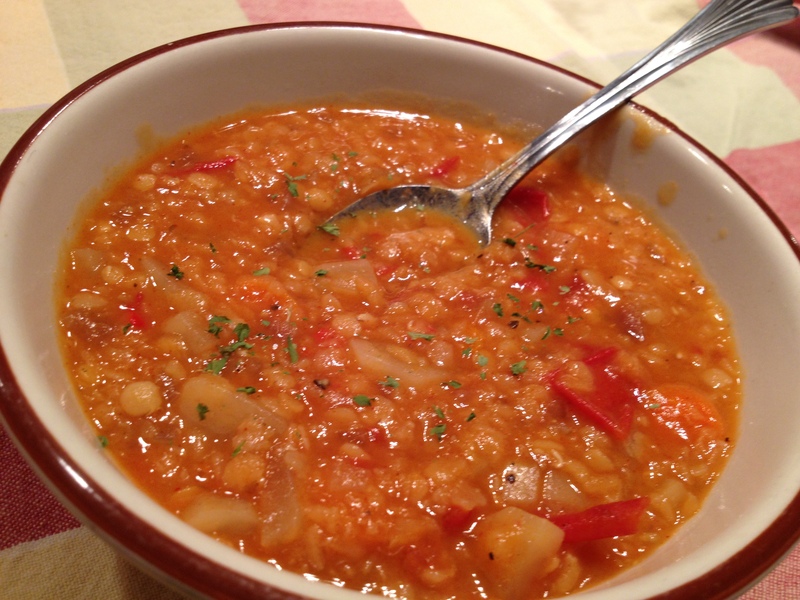 If you haven’t used red lentils before, go buy some tomorrow. My favorite places to find them is in Indian Grocery stores where I buy big bags like this. 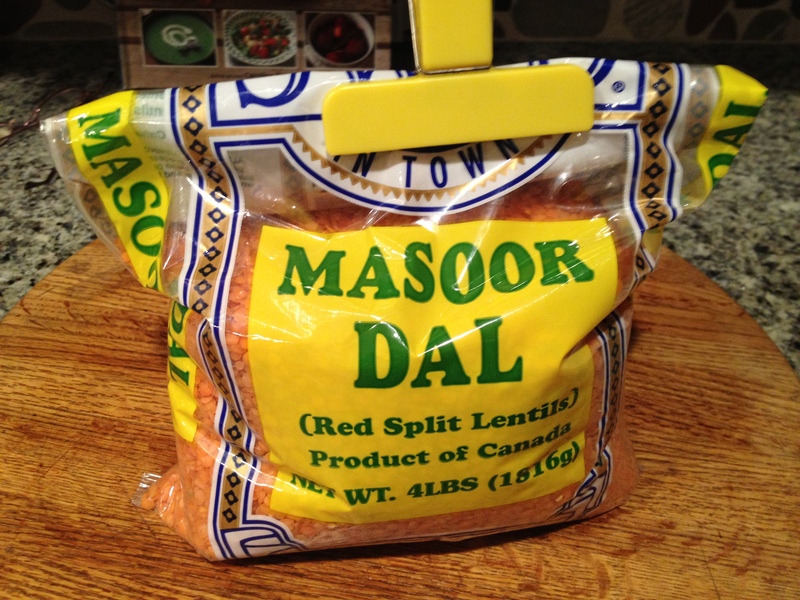 Massoor Dal means red lentils (I think). And if smoked paprika is a new spice, don’t be tempted to substitute plain old ordinary paprika – there is a smoky difference that you will love. You can find it at spice stores online such as Penzeys (http://www.penzeys.com/cgi-bin/penzeys/p-penzeysspanishpaprika.html). No, I don’t get a kickback from Penzeys, I just love their smoked paprika.